We have made this task easier for you by providing you with the direct link to the webpage, Simply Click here to access it. The webpage that will be displayed in front of you is the National Voter’s Service Portal. Once you correctly enter the web address and reach the website, you will see a number of options displayed. 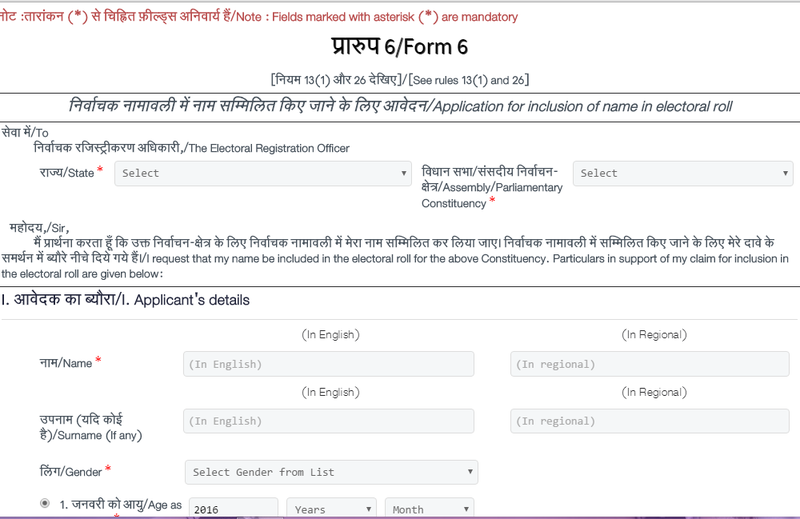 These options are as follows: search your name in electoral roll, apply online for registration of overseas voter, correction of entries in electoral roll, etc. 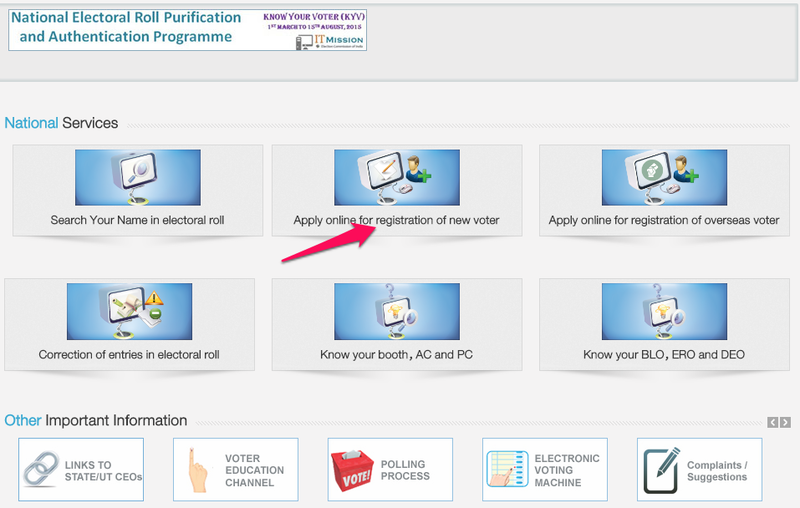 The option that you are required to select is, “Apply online for registration of new voter” as shown below. You will be redirected to another web page which will include a digital form. This form has to be filled while applying and this must be done carefully. The form that you are asked to fill in is Form 6, which is the form that every citizen must fill to apply for votar ID Card. Carefully mention the details asked and recheck what you have entered. Once this is done, attach your photograph and the photographs of various documents asked. Click here to know the list of documents. Click on the submit button and this is it! 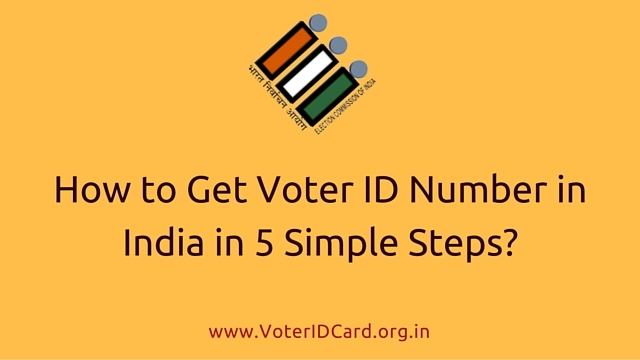 You will have successfully applied to get your Votar ID Card. An application number will be displayed on your screen, make sure to note this number down as it will help you in tracking the status of your Votar ID card. Under normal circumstances, after few days of registration an election commission representative will visit your house in order to verify your address and details submitted at the time of registration. Click here to know more about the Verification process. Once this is done, you will receive your Votar ID Card at your doorstep. We hope we were of help and you have applied successfully for your Votar ID Card.